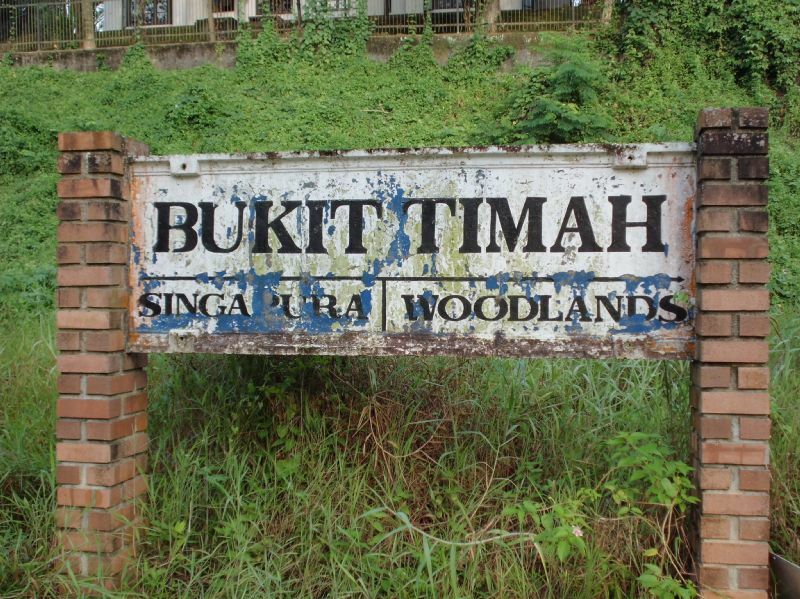 A refreshing Sunday walk from Bukit Timah Railway Station (BTRS) up to Tanjong Pagar Railway Station (TPRS). 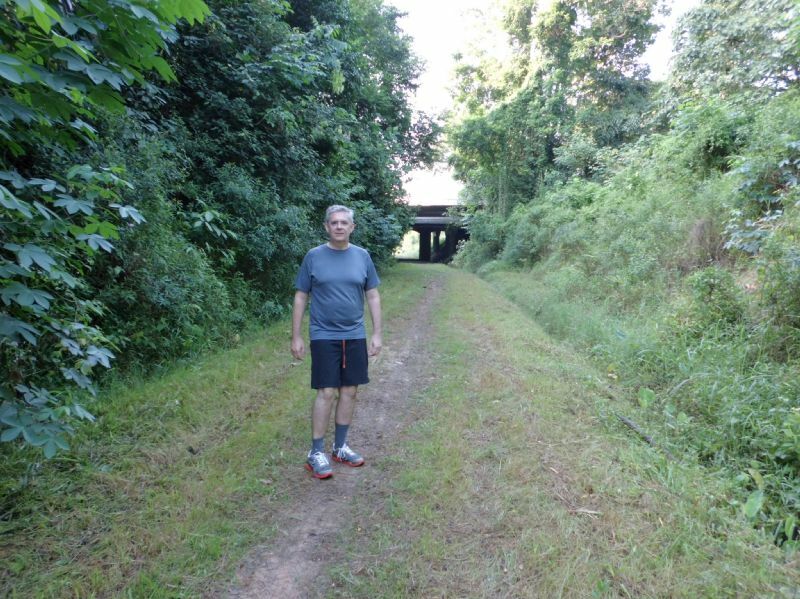 It has been quite some time I wanted to walk the distance on the trail which now replaces the old railroad tracks now removed after the decommissioning of the railway a couple of years ago following a treaty with Malaysia. Malaysia now operates the railway starting from the Woodlands Station instead of the original starting point at TPRS. Singapore got the ownership of the piece of pristine land once occupied by the railway tracks and Malaysia got a few plots of high value land in Marina Bay. I started from home at 6:00am to pick up Lynette at her place in Holland Village and then we proceeded togheter to the BTRS which is located at the side of Bukit Timah Road at about King Albert’s Road. 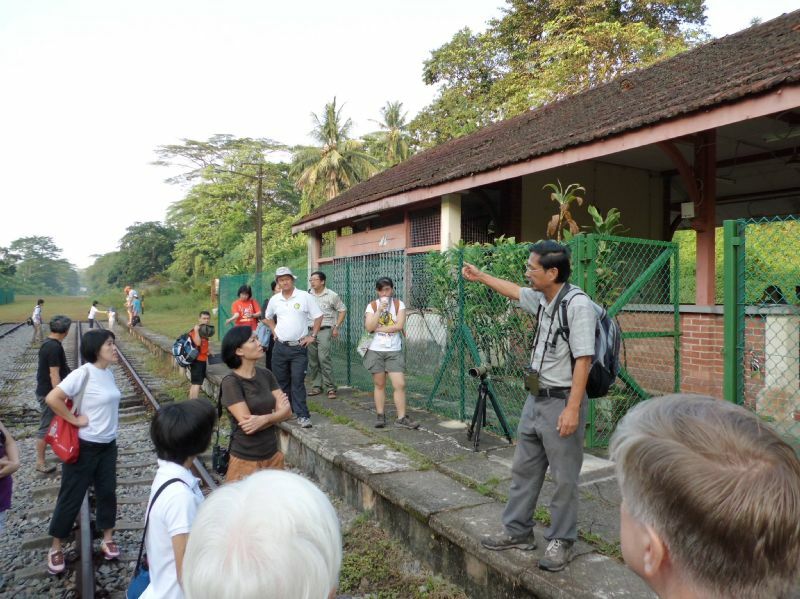 Whoever arrives on foot from the South there is a short climb to reach the plateau of the station just were the iron railway bridge crosses at about the Sime-Darby building. Whoever comes from the North there is a much easier access road before the bridge itself. At the station a small crowd was listening to a few historical remarks from the organizers of the Open Day and was getting ready to start the walk. 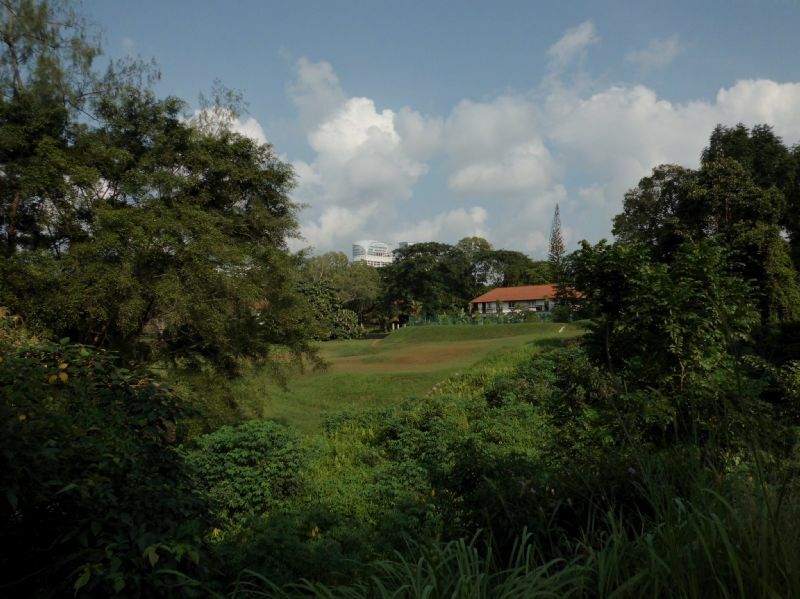 The first part of the trail (up to about Queensway)is the most interesting as it crosses a forested area with waterways and a remarkable bio-diversity. 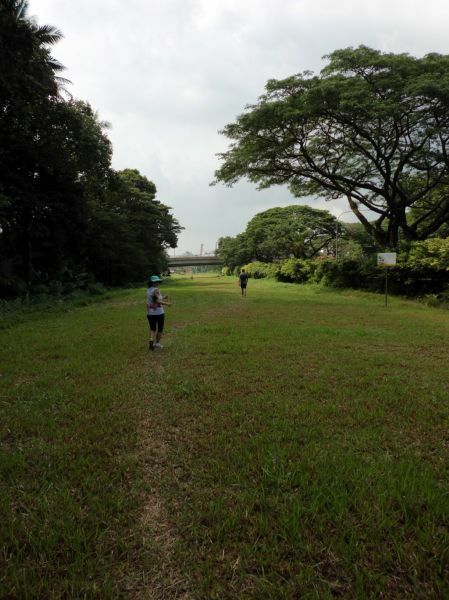 In the open plains after Queensway and the Buona Vista MRT station the path widens with a number of crossings for local residents of the nearby communities. The area is dotted by magnificent black & white bungalows. Drinks can be purchased nearby a small Mosque with a very friendly imam by the name of Ali. Passed the Portsdown neighborhood, the tracks run parallel to the AYE, and the noise of the traffic and the heavy populated and built-up area are reducing the interest of the walk. As a suggestion it is advisable to end the walk at this point. Approaching the TPRS and final point of the trek is not totally friendly since a number of fences delimit the area. Actually I’d say it is quite disappointing not finding locally any posting or signage on the best way to reach the station A break in the fence is suggesting a possible approach, but later one other fenced barriers will prevent to reach the destination. 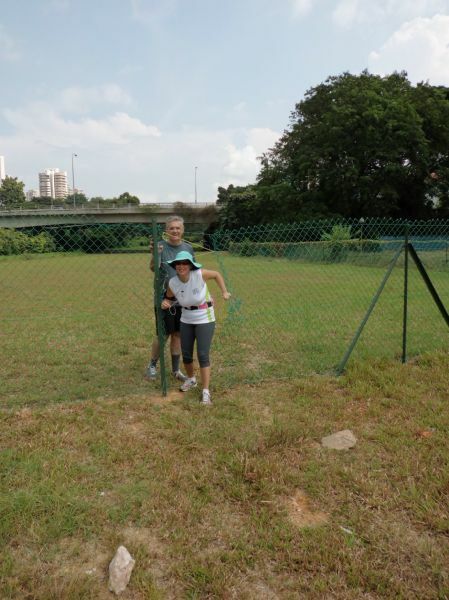 After a long detour with no apparent way outs, finally we discovered another hole in the fence to reach safely Spottiswoode road and to walk around the TPRS building for the entrance. 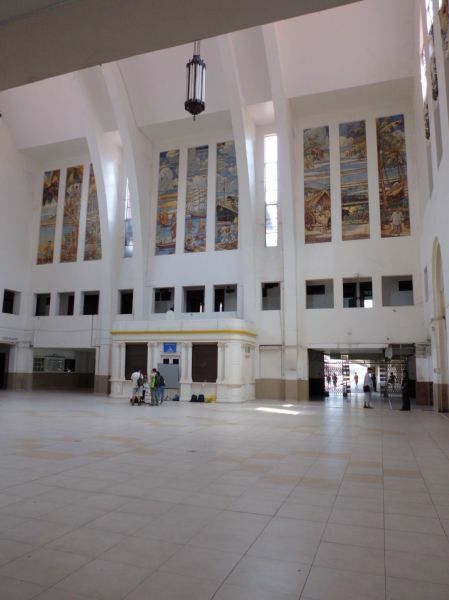 This entry was posted in The Old KTM Railway. Bookmark the permalink. ← What amount of discomfort is enough?